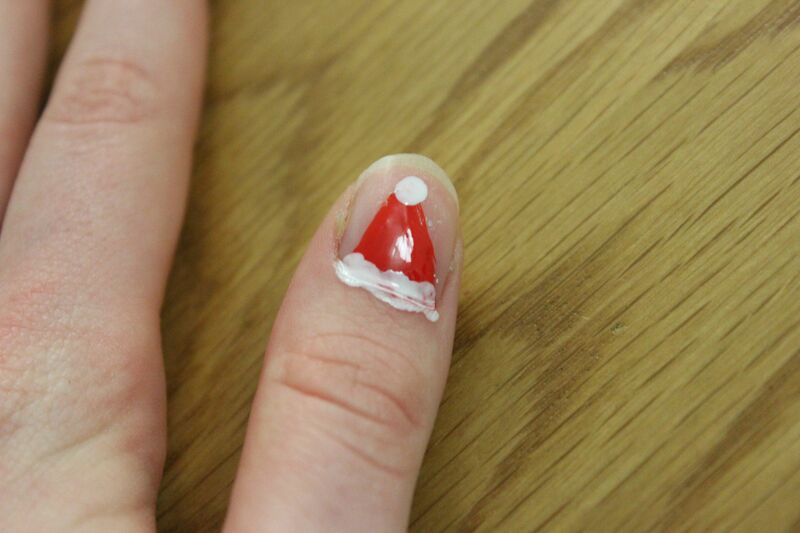 Next you will need white nail varnish and some cotton buds to create the bobble and white trim on the Santa hat. 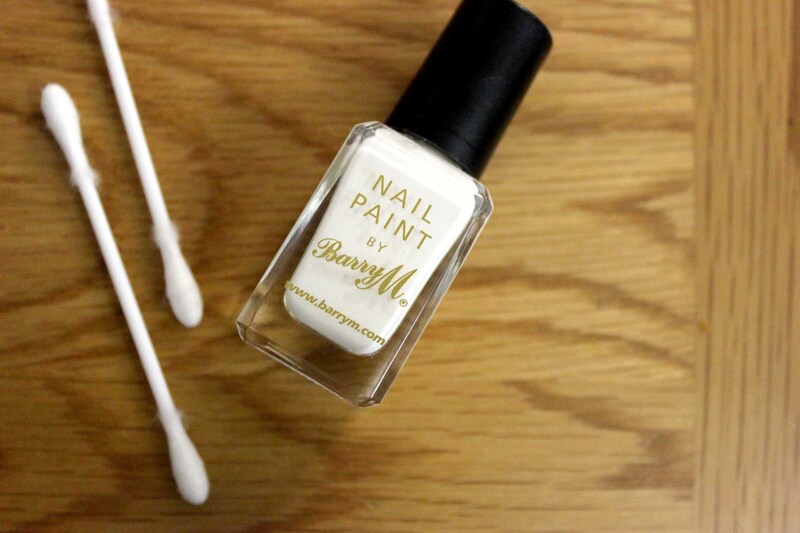 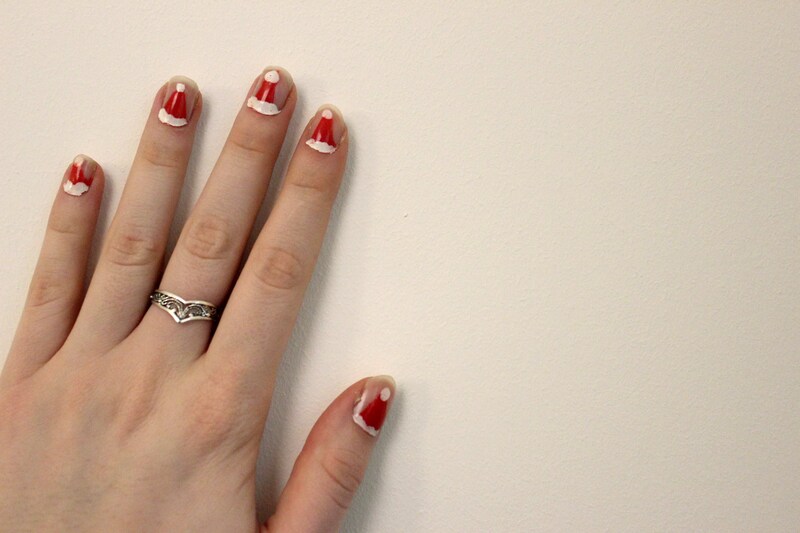 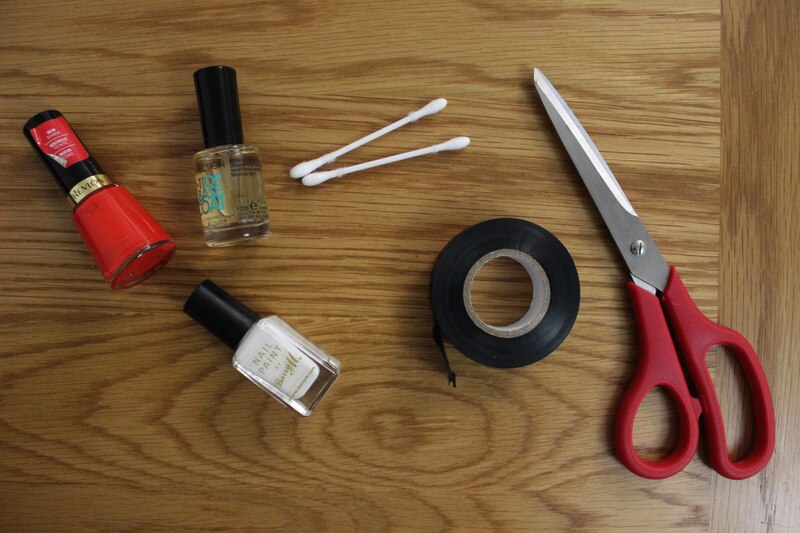 Simply dip the cotton bud in the white nail varnish and dab it onto the nail to create the fluffy trim and bobble. 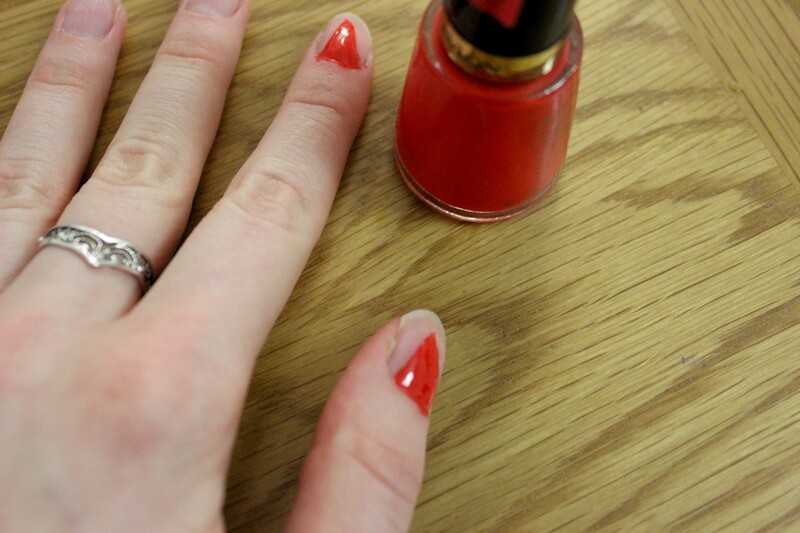 It is best to wait until the red has dried to not to mix the colours! 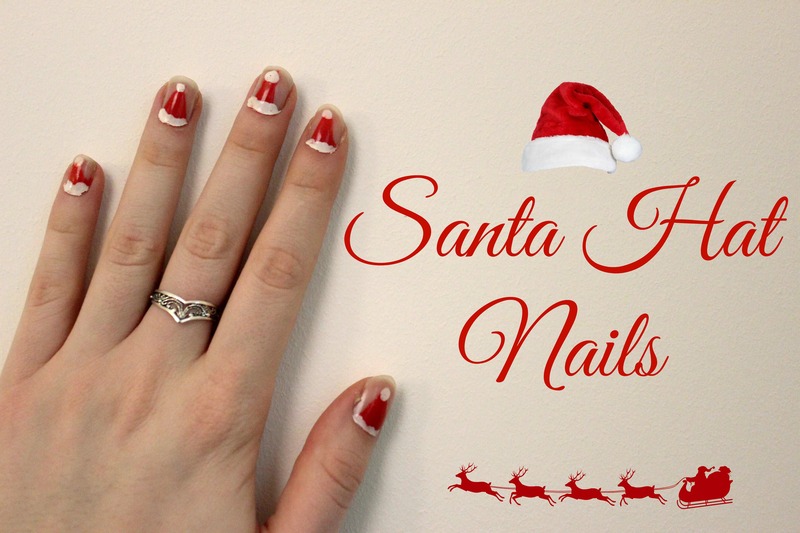 I usually end up with something pretty messy looking like the above image and end up having to sort out the splodges on my skin but maybe you will be neater than me. 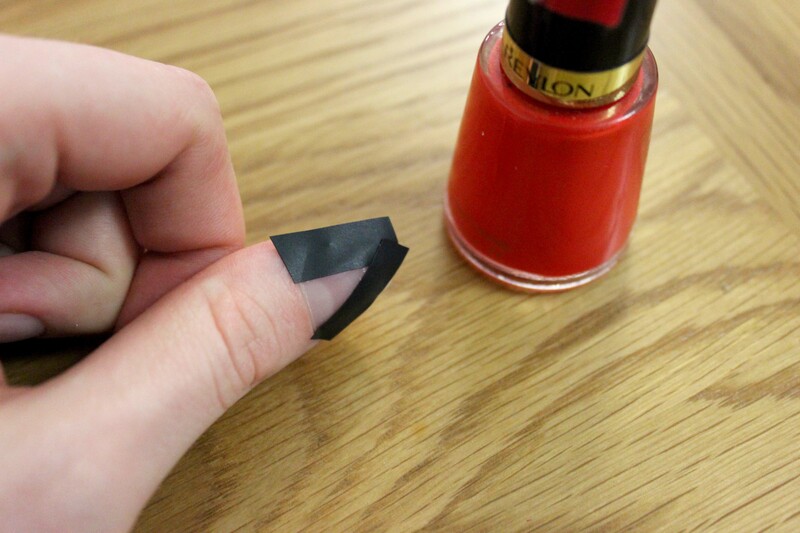 Finally you need to let it dry and finish off with a coat of clear nail varnish to seal the design.